LG has announced a new Android smartphone, the LG Optimus L4 II, the handset will launch in Russia this month, and it comes with a 3.8 inch HVGA IPS display with a resolution of 480 x 320 pixels. 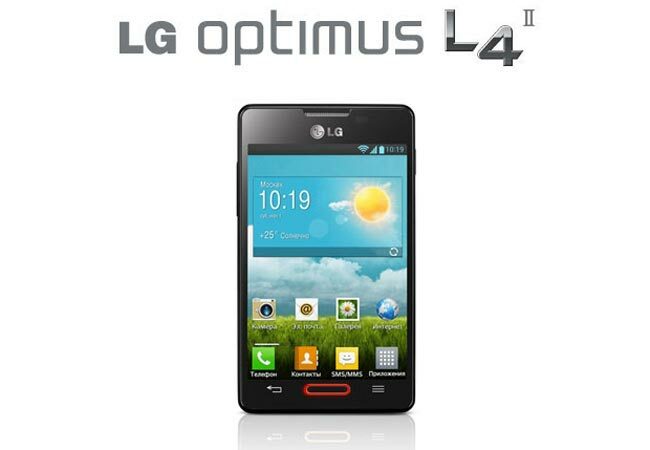 The LG Optimus L4 II is powered by a MediaTek 1GHz single core processor and feature 512MB of RAM, there is also 4GB of built in storage plus a microSD card slot for added storage. Other specifications on the LG Optimus L4 II include a 3 megapixel rear camera with a flash, the handset will come with Android 4.1 Jelly Bean and will feature a 1700 mAh battery, HSDPA, Bluetooth 3.0, GPS and WiFi. The LG Optimus L4 II will retail for 5,490 RUB which works out at around $172 at today’s exchange rate, it will launch in Russia and the Ukraine initially and will come in a choice of black or white.